If you haven't seen it ... here's the basic plot: In the Northside of Dublin, Ireland, Jimmy Rabbitte is a young music fanatic who aspires to manage an Irish soul band in the tradition of 1960s American recording artists. He places an ad in the local newspaper and holds auditions in his parents' home. 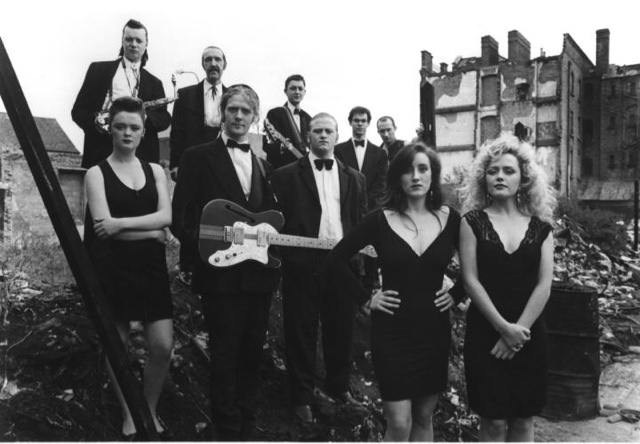 After being deluged by scores of disastrous performers, Jimmy decides to put together a band consisting of friends and people he encounters—lead singer Deco Cuffe, guitarist Outspan Foster, pianist Steven Clifford, saxophonist Dean Fay, bassist Derek Scully, drummer Billy Mooney, and female backup singers Bernie McGloughlin, Natalie Murphy and Imelda Quirke. Jimmy then meets Joey "The Lips" Fagan, a veteran musician who offers his services, and has unlikely stories about meeting and working with famous musicians. Joey names the band "The Commitments". What follows is a great story and even better music. Check it out. I'm just sayin .... you'll be happy you did.